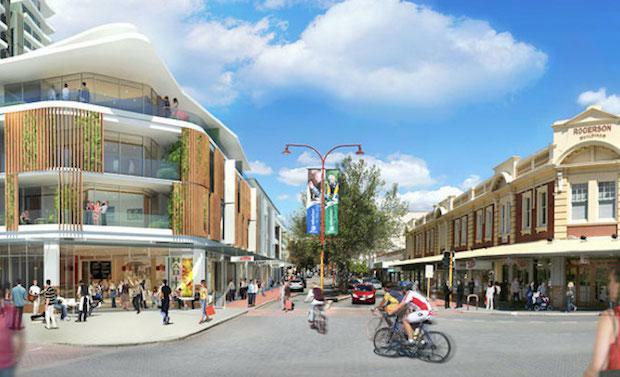 Western Australia Planning Minister John Day, has approved a planning scheme amendment that will allow a 16-storey development on the former Pavilion Markets site in Subiaco, Western Australia. The amendment will ensure any development on the corner of Roberts and Rokeby roads will include public arcades, food and beverage outlets and short stay hotel rooms and apartments, with a focus on street activation. 232 residential apartments, 94 serviced short-stay apartments, 18 specialty shops, a supermarket, and conference facilities. Mr Day said the site was an important asset to Subiaco and a prime location for a quality, high-density development that would attract more people to the area. “The Pavilion site’s proximity to the Subiaco train station, retail, job opportunities and the CBD make it a prime candidate for a development of this kind,” he said. “Subiaco is a strategically important suburb in the inner city area that can accommodate a significant local population. It is a suburb that is changing and developments such as the one proposed on this site will attract people to the area and assist in its rejuvenation. This site’s future has been uncertain since the City of Subiaco rejected the proposed scheme amendment in 2011. The Minister directed the city to initiate the amendment under Section 76 of the Planning and Development Act 2005 in June 2013. The Minister said appropriate medium and high-density developments close to public transport and key economic infrastructure were a central platform of the State Government’s planning policy, Directions 2031 and Beyond. D2 Property is now required to submit a development application to the City of Subiaco.